Home / JOB VACANCY / JOB VACANCIES AT DUCE: ASSISTANT LECTURER AND TUTORIAL ASSISTANT IS WANTED. JOB VACANCIES AT DUCE: ASSISTANT LECTURER AND TUTORIAL ASSISTANT IS WANTED. 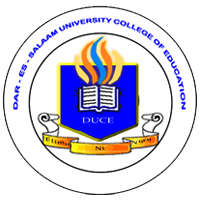 Applications are invited from suitably qualified Tanzanians to fill the vacant positions at the Dar es Salaam University College of Education (DUCE) situated at Chang’ombe, Temeke District, Dar es Salaam. Applicant must be a Master’s Degree in a relevant field with at least a GPA of 4.0 out of 5 and a Minimum GPA of 3.8 out of 5 or its equivalent in the First Degree with a Minimum score of B+ or its equivalent in the Relevant Subject. Undergo an induction course in pedagogic skills for those who have not undergone. Perform any other duties that may be assigned by the relevant authorities. Only shortlisted candidates will be informed on the date of interview. Names, positions and contact addresses (including telephone numbers) of three referees should be provided in the resume/Curriculum Vitae.